Inner ankle pain usually results from years of pressure placed on your ankles when you run. Jogging and running on the streets of Manhattan takes a toll on your ankles, legs and feet. It can lead to the need for ankle pain treatment. Other conditions, ranging from arthritis to tendonitis, also require the expertise of a Midtown sports medicine expert. Come see our pain management clinic and meet our doctors. Make your appointment today to get the pain relief you need in the safe, reassuring hands of the best pain management specialists in NYC Dr. Melepura. Consider everything your ankle does for you. A small part of your body, it still has to bear your entire weight while allowing you the flexibility you need to walk, run and make most any ambulatory movements. Ankle pain is a common complaint with your NYC sports medicine doctor because of the complexity of the bones, tendons and ligaments that make your ankles work. Inner ankle pain, outer ankle pain and pain that runs up the back of your leg along your Achilles tendon require targeted ankle pain treatment from your Midtown Manhattan specialist, while middle ankle pain often responds well to rest and home remedies. Any ankle pain that’s severe, however, should receive professional ankle pain treatment. It’s better to be safe than sorry when it comes to pain. Your inner ankle is called the tibialis posterior and is commonly under siege, causing ankle pain among runners in New York City. Persistent, untreated inner ankle pain can lead to acquired flat feet, chronic foot pain and ankle pain later in life. When it’s under constant pressure, the tendon in your ankle can rupture, tear or just become partially inflamed. 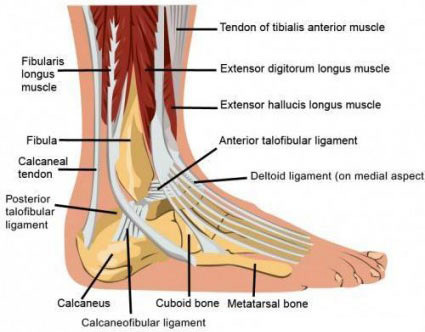 A direct hit to the tendon, as is common among soccer players, also is a common cause of inner ankle pain. If you continue to run or play your sport with even minor ankle pain, you may be looking at significant downtime. It’s even possible that you could injure your ankle bad enough that you’d lose the ability to ever run again. And you’d need surgery if your tendon completely ruptures. Your NYC sports medicine doctor can easily diagnose the source of your inner ankle pain. Even when it appears to come from somewhere else in your foot, your physician can track it down and provide you with the most appropriate treatment to ensure you can keep enjoying your physical activities. When you first start experiencing ankle pain and you believe it may be due to a sprain or other minor injury, try at-home treatments. Check with your Midtown physician before starting a home remedy treatment plan, however, just to make sure you’re doing the best thing. You don’t want a small injury to lead to further complications. Losing weight. Reduce the pressure on your ankles, and you can go a long way to alleviate the pain. While not an immediate solution, it helps you achieve freedom from ankle pain. Icing. Alternate between ice packs and heating pads for 20-minute intervals to reduce the swelling that causes ankle pain. Resting. Take a break from your grueling workout regimen, especially for inner ankle pain relief. Elevate your ankle whenever possible to reduce inflammation. Taking OTC medication. Over-the-counter pain relievers such as ibuprofen and aspirin can take the edge off the pain and reduce the swelling that may be causing your discomfort. Wrapping. Compression bandages can relieve swelling while you’re taking a break from the pressure and pounding you put on your ankles. Physical therapy that includes strengthening the supporting muscles in your legs, as well as activity modifications, follows any surgical intervention. Ideally, after you’ve suffered with inner ankle pain or undergone ankle surgery, you’ll take precautions to prevent future ankle pain treatment with the advice and assistance of your sports medicine team in Midtown Manhattan. Do you have any questions about ankle pain treatment we offer in NYC? 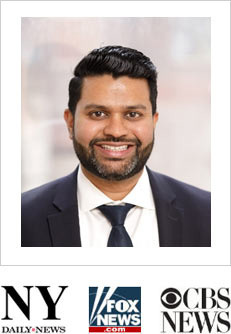 Would you like to schedule an appointment with the ankle pain management doctor Febin Melepura MD of New York pain management clinic? Please contact our office for consultation with the pain relief specialist in Midtown Manhattan.